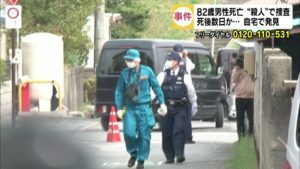 AICHI (TR) – Aichi Prefectural Police are seeking the help of the public in locating a man who wielding a knife during the robbery of a convenience store in Nagoya over the weekend, reports TV Asahi (Sept. 11). Early on September 9, the perpetrator entered an outlet of Family Mart in Midori Ward and thrust the knife before a 37-year-old female clerk. After pulling 120,000 yen in cash from a register, he fled the scene. 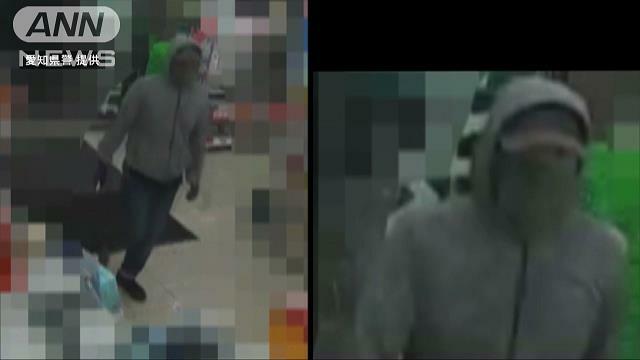 In security camera footage released by police, the suspect is shown wearing a gray hooded sweatshirt and mask over his face at the time of the incident. 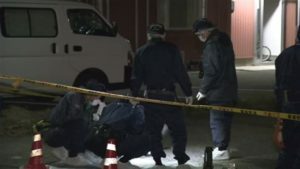 Believed to be in his 40s, the perpetrator stands about 175 centimeters tall.